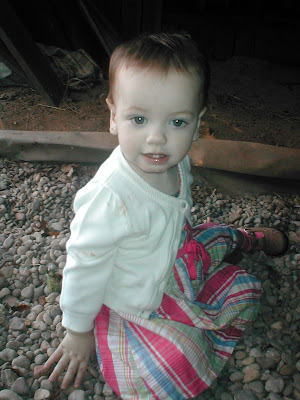 Natalie plays with the gravels in the barn. 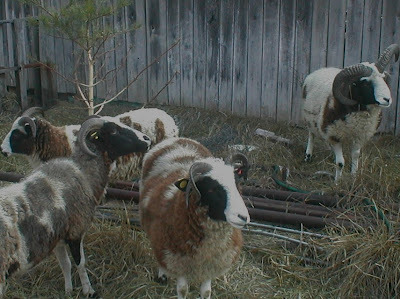 A neighbor brought his sheep over to eat some grass for me. They ate some bark while they were at it. 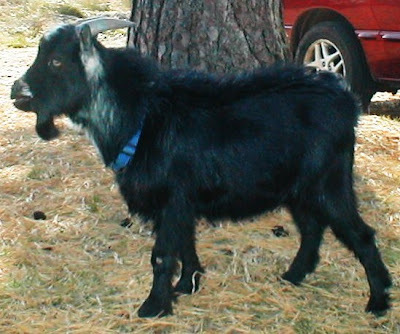 Mickey is a pygmy billy goat. He is not full-grown yet, "but" is making his presence felt!